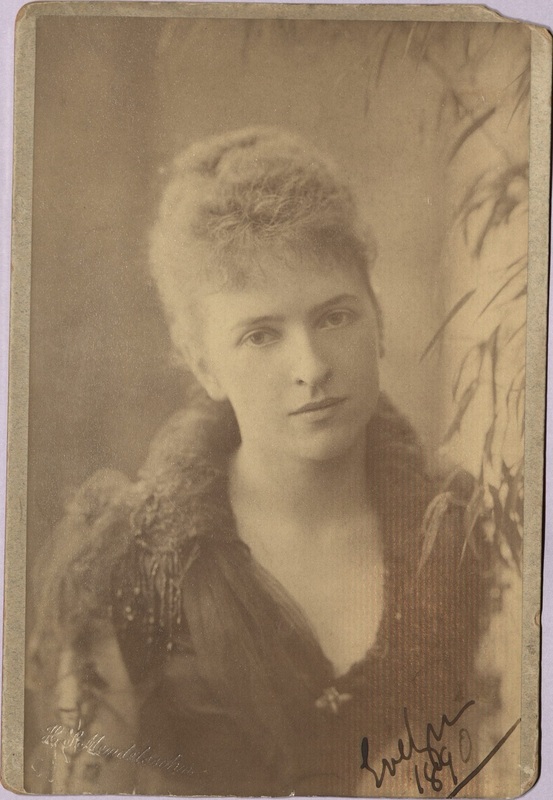 Above: Evelyn Whitehead in 1890, age 24. The Whiteheads were married on December 16, 1890. Their first son, Thomas North, was born on December 31, 1891. Photo courtesy of Johns Hopkins University Library (MS 282, Department of Special Collections, Sheridan Libraries, Johns Hopkins University). It has been an eventful year for WRP. Rather than give the usual quarterly update, we thought we’d also provide an overview of our work for 2018, along with some teasers of some exciting things to come. Perhaps the place to start is with the new website. Early this year, we were finally able to relaunch the WRP website. It no longer looks like it was built in the mid-2000s (as, indeed, it had been), and is now much more user-friendly on the back end. We have taken the opportunity to post several blog posts which contain pictures of Whitehead, and which explore his connection to some overlooked intellectual influences. The site was staged by Richard Livingston, and migrated largely by former WRP editorial assistant Jason Taksony Hewitt. We held a conference this past December—made possible by the support of a generous private donor—which focused on the significance of the first volume of the CEW, and was attended by all of the editors of the first three volumes of the CEW, along with a number of other leading Whitehead scholars. Brian Henning and I are still in the early stages of editing these papers—along with a number of other invited papers—into a book. We hope that it will be published in 2019. We continue to edit the Harvard Lectures volume for 1925-27 (aka CEW Volume 2). This year we were able to finish textual verification of all twelve sets of notes we have for these two academic years, and have moved on to the editorial phase proper. It is a more difficult and complicated beast than the first volume, covering two years instead of one, and twelve note-takers instead of three. We have decided, largely from necessity (since we have as many as four sets of notes for a single class), to publish only the best, most detailed set of notes for any given Whitehead class, rather than publish duplicate sets (as was done with Bell and Hocking in the 1924-25 volume), while using the other sets of notes to augment our primary accounts in places where another student caught some detail more fully. This cross-comparison work is slow, but we are convinced that it will make this volume of Whitehead notes the best resource for Whitehead scholars that it can be. As of this writing, we have finished editing 54 lectures, with another 135 yet to do. We plan to submit the completed manuscript to Edinburgh University Press sometime in 2019. We gave over the materials for the third volume of Harvard lectures to our three editors in Dusseldorf—Helmut Maaßen, Dennis Sölch, and Aljoscha Berve—in May 2017. We are hopeful that they will make good progress on the 1927-30 lectures in the coming year. This year new WRP editorial assistant Robert McDonald and I finally completed the initial transcription on a projected fourth volume of Whitehead notes covering 1930-33. This collection of notes is our largest in terms of raw page count (for those interested in exact numbers: the first volume was 575 pages, the second volume is 1,077, the third volume is 783, and the fourth volume is 1,352). These manuscript page counts do not take into account the amount of text per page (which varies wildly for each set of notes), nor the fact that some note sets will not be printed in full, but there is no denying that they add significant work to the back end of things. We’ve also acquired a lot of new material this year, including letters between A.H. Johnson and the Whiteheads, letters between Whitehead and Macmillan, additional sets of student notes, more miscellaneous letters and photos from Johns Hopkins, and even Whitehead’s appointment books for 1924-26, along with a partial listing of books in his personal library. But we’ve made another acquisition which is more exciting than all of these. Whitehead’s heir has given us three banker’s boxes worth of Whitehead papers that he had been holding back until now, things that the family did not want Victor Lowe to have. We had been told, of course, that all of Whitehead’s papers had been destroyed upon his death, but it turns out that this is not precisely true. In mid-January, George Lucas, Brian Henning and I will meet in Claremont to examine the boxes and make a first assessment of what they contain and what their academic value may be, after which we will work to digitize them fully (which will be our primary focus in the first months of 2019). We believe the collection is largely letters. After we have met and examined the materials more carefully, we will post an update on our website with more details on the contents. Another related project we want to tease is that we are now working to make more of our collection of archival materials public. Much of our material is comprised of scans from other archives that we cannot redistribute, but certainly not all of it. We are now in the process of assessing which of our materials can be made publicly available. When this is done, we will make an announcement on our website, at which point a large number of archival Whitehead materials will be freely available to view and download. Lastly, a reminder: if you’d like to be automatically notified when new posts go up on the WRP website, you can subscribe to our blog by entering your name and email address into the box on the right side of the page. The work of searching for, transcribing, and editing archival materials is time-consuming and costly. If you are able to support our work with a donation, it would be much appreciated. Just follow this link.